Are you looking for great summer reading? We’ve put together our reading list for the summer! 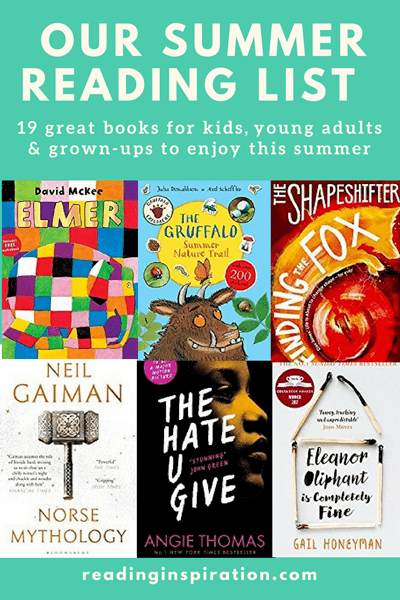 Whether you are looking for the best summer reads for young adults, summer reading challenge ideas or just the best beach reads to relax with, here are our suggestions of summer reading ideas for kids as well as the grown-ups to enjoy. See the table below for a quick overview of our top summer reads. Scroll further down or click on the menu sections above to skip to a section and find full details on each title. You can find full information and our thoughts on each title below this table. by Sanae Ishida Lifestyle, Home, Arts & craft, Hobbies & Interests, Biography 256 pages, (paperback). There are many benefits of summer reading for children, it can help prevent children from losing the reading skills they have been developing and working on at school. It is also a great way to occupy children on train journeys and during the inevitable moments of boredom that will happen during the holidays! There are plenty of fun summer reads and activity books to chose from, whatever your child’s interest or age. “This book is about two siblings who practice the magic art of the Egyptian Gods. They must find the shadow of the chaos serpent Apophis and use it to destroy him!” This is the third book in Riordan’s Kane Chronicles series. Handa’s Surprise is a modern classic children’s picture book and with its colourful illustrations of fruit its one of the great books to read during summer. It is ideal for children age 4-7. The illustrations are so enticing and beautiful. The charming story of the colourful and unique patchwork elephant Elmer is a great book to share with children, age 3-5. The story is fun and the illustrations are fantastic. Look out for tactile board books of Elmer stories like this, for even younger children. One of my favourite summer reading tips is to keep reading fun and play based. In our selection of activity books, we have some bookish ideas to keep everyone in the family entertained. Not just for young children but for the grown-ups too! We loved The Grufallo and read it over and over with my son when he was younger. How exciting would it be to go on an actual Grufallo hunt? This book is a great way to get kids out and about enjoying nature and spotting tiny creatures and plant life. It has lots of activities and stickers to help families explore the natural world and due to flexible activities is suitable for children age 3-9. Doodle Girl’s drawings come to life to create an amazing summer holiday! This lively sticker book is suitable for children age 3+. When you need indoor activities for children to fill bad weather summer days, try checking out crafting and making books like this. It has quick and easily achieved stitching projects to help children age 5-10 build confidence with sewing. And here’s one for the grown-ups! This beautiful sewing book is perfect for parents who love crafting and making whenever the kids are occupied with their own books. 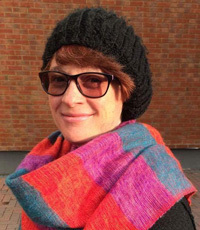 Check out a full review of Sewing Happiness here. This book is a great family read for a rainy day if you are stuck inside. It’s fun to read the script out loud in a group and take different roles. I do a darn good Hermione voice surprisingly. This award winning book is shocking, powerful and a real must read that captures the perspective of a young black woman dealing with the aftermath of police violence. The Hate U Give is written with humour and humanity. Thomas’s book is gripping and moving as Starr weighs up the dangers of speaking up against the dangers of silence. This YA novel is gently funny, sweet and touching. It revolves around the world of bookish and geeky conventions, experienced through the eyes of teenager Lexie who helps keep her dad’s events running smoothly. But her routine convention world gets shaken up in a season of surprises. Read my full review here. In this unique YA contemporary novel, the story of how a cult community reaches a devastating crisis unfolds through the disjointed memories of one of its survivors, Moonbeam. In the aftermath of the destruction of the cult, Moonbeam has been placed in a Secure Unit. She paints scenes of a small house by the sea, perhaps visualising an early memory of her life before the cult. Through the course of the novel the teenager finds her voice and reveals the story of her experience of her life at her own pace. You may be thinking that with the children off school, you won’t have much time to get through your own summer reading list! See my tips on maximising your chance to read yourself here. If you can manage it, here’s our grown-ups top books to read this summer. This incredible book knocked me for six and was on my mind for a long time after I finishing reading it. If you are looking for a moving and thought-provoking read I’d recommend this book. Honeyman captures the voice of Eleanor, a complex character living with deep loneliness and emotional pain. Eleanor’s words are often grimly funny and always gripping, and you will find yourself worrying about her and rooting for her recovery. If you are looking for epic legendary tales, Neil Gaiman’s recent Norse Mythology could be the summer read for you. It came a long just at the right time for me. My son had been reading the Magnus Chase books by Rick Riordan, books that bring Norse myths to the modern world in children’s literature. Of course we have also become used to seeing Norse Gods like Odin, Thor and Heimdall in Marvel films and comics. Finding out for myself about the traditional stories that inspired these newer retellings not only provided a great read, but was also a great way to get involved in discussing the storylines of Magnus Chase with my son. It’s a win win! I love David Mitchell’s books, especially The Bone Clocks and Cloud Atlas with their unusual and rewarding structures. At first I found The Thousand Autumns of Jacob de Zoet was unusually realistic for a Mitchell book but eventually it became as mysterious and intriguing as his other works. This is an intriguing book, a fiction told from the perspective of a worker bee, Flora, who’s life is dedicated to the service of a failing hive. It’s quite an adjustment to read from the perspective of a bee, but Laline Paull did a great job of creating the voices of the bees and other creatures including spiders and wasps. Think Watership Down with bees! And if you like The Bees you may also want to check out The History of Bees by Maja Lunde. The book explores the issue of Colony Collapse Disorder from different perspectives. Read my full review of this extraordinary book here. A terrifying and shocking book, perfect if you like a challenging read during a relaxing holiday! Find out more about The Power here. Do you have any suggestions for unmissable books for adults and kids this summer? Are there genres or types of books we haven’t covered that you would like to here more about? Do you have any summer reading themes in mind, or do you prefer to chose as you go along? Let us know in the comments below and check out our other children’s and grown-up reading suggestions.